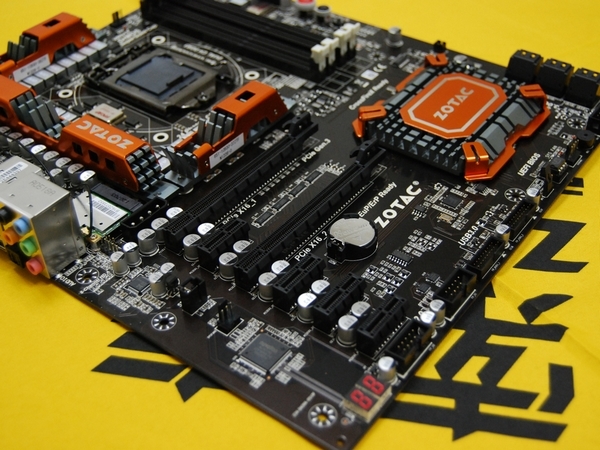 ZOTAC’s flagship ZT-Z77-U1D Crown motherboard based on the Z77 chipset featuring a beefed up PCB/VRM area has been listed in China for only $150 (999 Chinese Yuan). The price is great considering the stuff it packages such as a 24 +1 +1 phase power design fitted with 1000μF FPCAP capacitors, All In One ferrite-core solid-state chokes, DrMOS, tantalum capacitors, and a super-ML multiphase capacitor and controlled through an VRD12 controller. 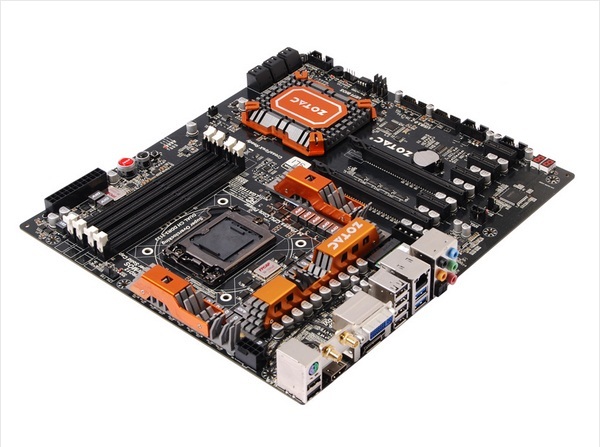 The motherboard packs a nice Orange/Black heatsink color scheme and there are four DDR3 Memory Slots are included on the board which support modules with frequencies upto 2133MHz. 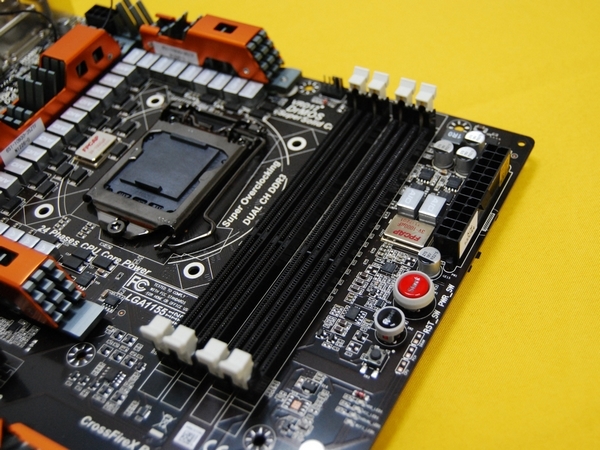 The motherboard allows for 2-Way Multi GPU SLI/CrossfireX functionality through its two PCI-e x16 slots (Gen3). 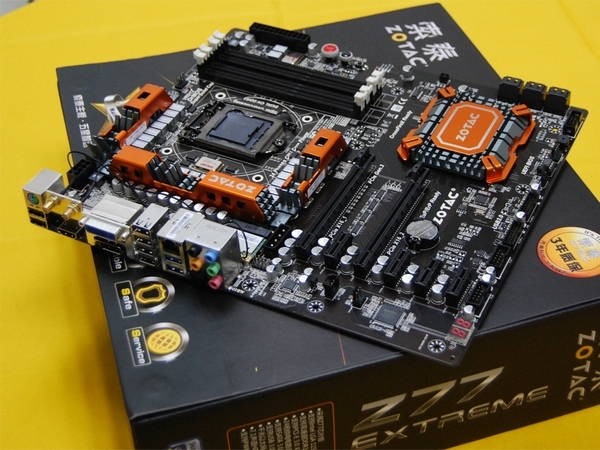 Four PCI-e x1 slots are also included. For I/O there’s a total of six USB 3.0 controlled through the NEC720202 the USB 3.0 controller, 8+2 channel HD audio, 802.11 b/g/n, Bluetooth 3.0, gigabit Ethernet and a couple of USB 2.0 ports. 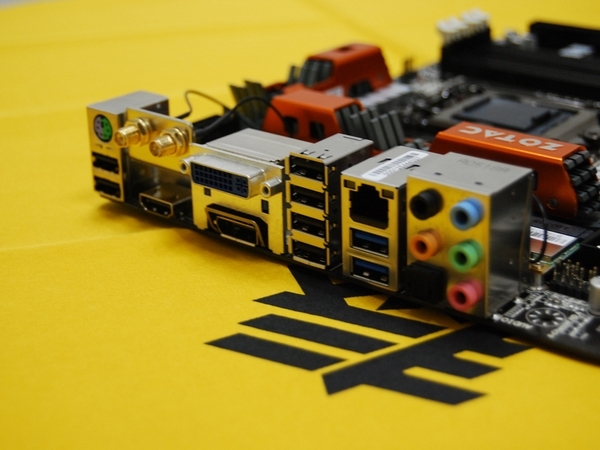 For storage there’s 4 SATA 3Gbps and two SATA 6Gbps ports while display connectivity is provided through DisplayPort, HDMI and DVI ports. 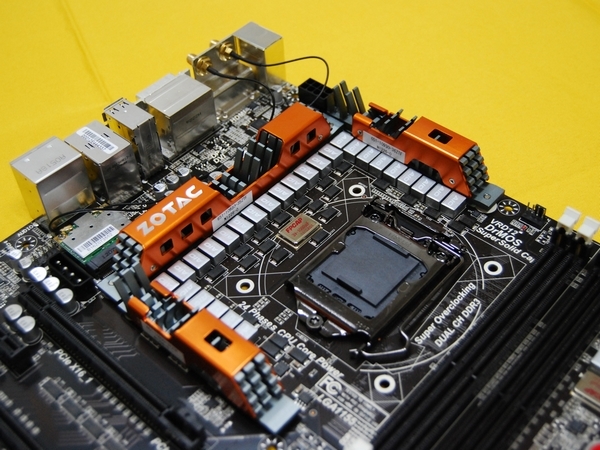 Zotac also added Debug LED, onboard switches, system voltage measurement points, onboard Clear CMOS button which come in handy while overclocking. Looking at how its listed in China, we can say the official launch is not far away. For $150, this is certainly one of the best boards one can buy.